Mardin is a town with a very old Christian tradition, surrounded by many early Syriac Christian churches and monasteries. The local authorities, who are aware of the potential economic advantages from tourism, are supportive of restoration projects in the town. 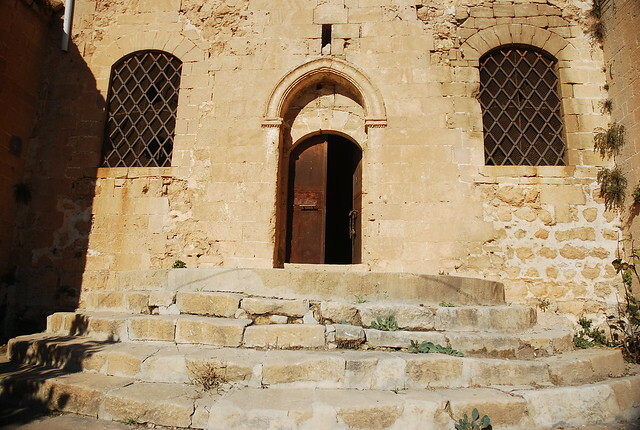 St. George Church, a prominent landmark in Mardin, has been abandoned since the deportation of Armenians in 1915, an event which caused deep wounds that have not yet been healed. It is impressive that the nomination of this church for ‘The 7 Most Endangered’ has come from Europa Nostra Turkey, with the support of the owner, the Mardin Armenian Catholic Church Community Foundation. St. George Church is a Grade I registered historical building, which epigraphic evidence dates back to 420 AD but which attained its current form in the 19th century. Today the church is in such a bad state of preservation that it is not in use. A scholarly conservation of St. George Church would not only preserve a fine building with a long history but would represent a major contribution to the enhancement of the distinguished town of Mardin. The continuation of the neglect would be disastrous for the monument itself and for the town as a whole.